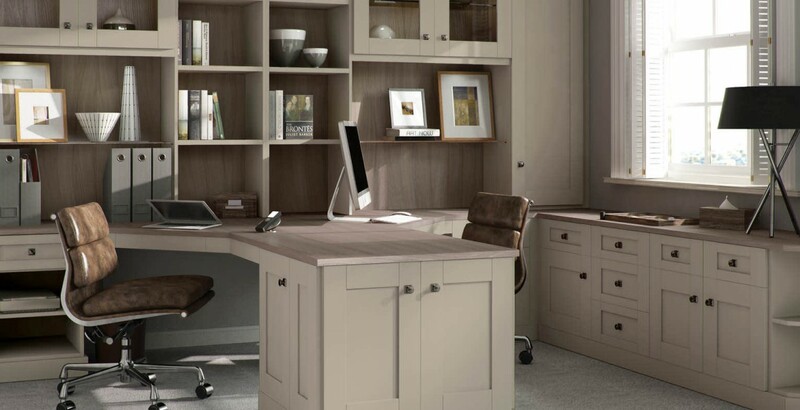 The classic Shaker design of our Verona home office furniture is accentuated to perfection when finished in a warm and natural colour palette. The characterful grain of Driftwood combines beautifully with our charming Shade painted finish, perfect for a bespoke home office or study. Co-ordinate desk space, shelving units and soft close drawer systems from this classic fitted office range to create a bespoke solution that suits your professional needs.